The region boasts a number of magnificent National Parks, beautiful waterways and scenic landscapes. There are good quality campgrounds and camping spots located throughout these locations. 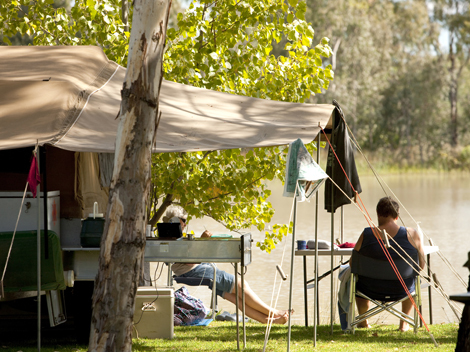 At Menindee, along the river or on the banks of the lakes you can enjoy camping, boating, water sports, fishing and relaxation. In Kinchega National Park there are quite a few good camp sites set up and maintained by the NSW National Parks & Wildlife Service. Many of these sites boast excellent fishing. The National Parks, especially, have excellent campgrounds or sites on offer, with all sorts of landscapes and activities close by. The Daydream Mine is located about 20min outside of Broken Hill. It was established in the late 1800's and worked for a number of years. At one stage a small town of about 500 grew up close by, a sizable town for the time. The mine was closed down some time later and the town has disappeared from existence since. 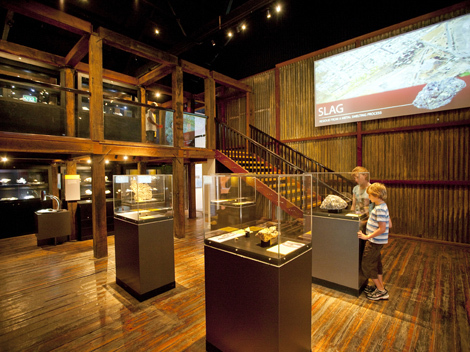 Today the mine operates as a tourist mine, with guided underground tours. The towering smokestack from the smelting works can still be seen atop the prominent hill leading up to the mine. Take an underground tour, get a feel for the history and see the mine as it looked over a hundred years ago. 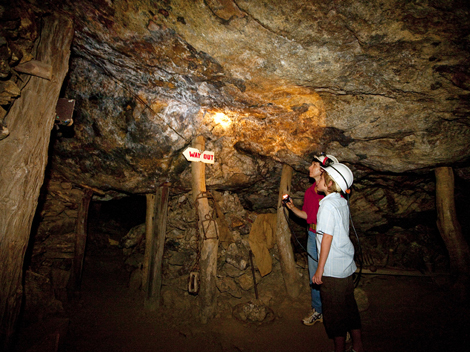 An underground tour at the Daydream Mine is and experience not to be missed. Fishing is excellent throughout the district, from the Darling River, Paroo River and Menindee Lakes in the North East to the Mighty Murray with its lakes, billabongs and wetlands in the south, excellent fishing opportunities are everywhere within easy reach. The main fish species for anglers are the Golden Perch and the massive Murray Cod. 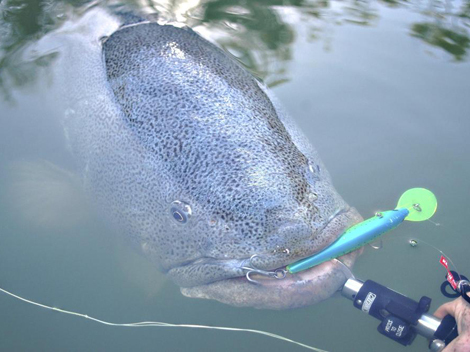 Murray Cod can grow to an enormous size and are covered in a mottled dark grey/green colour. They are highly sought after and prized for their taste and elusiveness. Both fish species are widespread throughout all the river and lake systems throughout the district. There are also Fresh Water Crayfish such as the Murray Cray and the much more common Yabbie, as well as species of catfish and several other native and exotic fish. There are some excellent museums throughout the district. In Broken Hill, the geocentre is a definite must see, with its interpretive mineral displays, wealth of information and mineral specimens and the Famous Silver Tree on Display! Other excellent Museums include the Railway Museum, Flying Doctor Museum, Mining Museum and Line of Load Visitors Centre in Broken Hill. Wentworth Hosts a Gaol Museum and a preserved paddle steamer. Silverton also has several interesting museums. 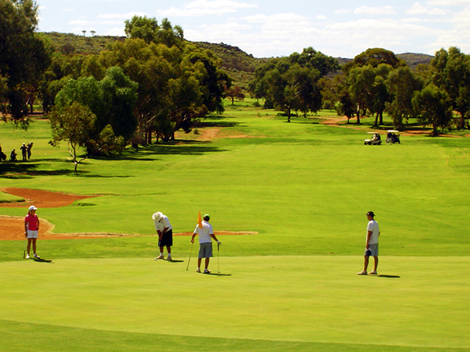 Golf is a popular pass time throughout the district with many high quality, fully grassed courses located at various places such as around Balranald, Dareton, Wentworth and Broken Hill. Regular competition and match play is available as well as normal everyday golfing. There are also regular organised sporting competitions and leagues operating in all main cities throughout the district with everything from Hockey, tennis & squash through to Netball, Basketball, Soccer, AFL and Rugby on offer. There are many opportunities for hiking, especially around Broken Hill or on one of the walking trails in the many National Parks in the District. Many of the walking trails in the national parks meander along rivers and waterways or past locations of historic significance, such as one of the camp sites of the famous explorers Burke & Wills. 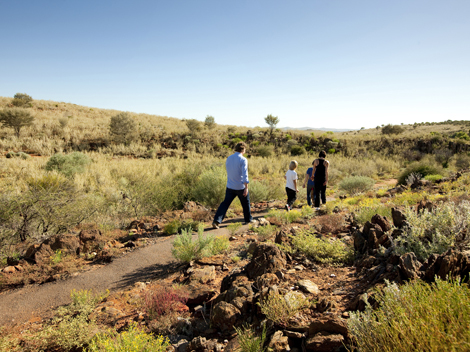 Around Broken Hill there are the Sundown Trail, Living Desert Walking Trails and the heritage trail walks around town. The sundown and living desert walks are best done near twilight to experience the stunning sunsets that can be viewed the summits of their destinations. A two and a half hour drive from Broken Hill, and right on the doorsteps of Blaranald, Dareton and Wentworth, are house boat holiday providers. From one of these locations along the Murray River, you can hire a luxurious houseboat for a few days or even weeks. Kick back and relax in luxury in a rooftop spa or air-conditioned luxury living space. Pull up to your own quiet spot on the banks of the river, away from civilisation, in complete comfort. Cook a BBQ, throw in a few fishing lines, and sit back and relax in the tranquil surrondings. A Murray River Houseboat holiday, really is an experience not to be missed. 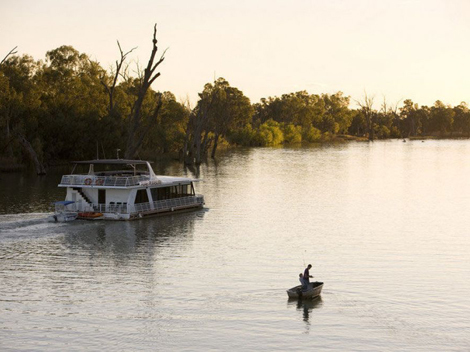 Around Balranald, Dareton and Wentworth you can take a river cruise on one of the painstakingly restored Paddle Steamers that once ruled the mighty Murray River. Short Daylight cruises are available as well as evening dinner cruises. 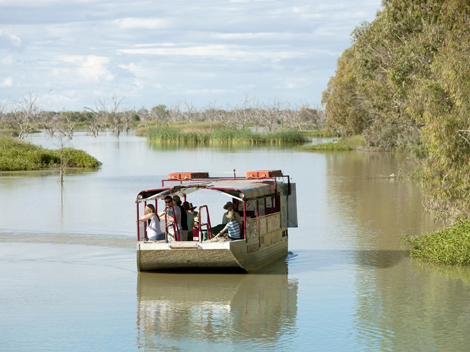 At Menindee you can take a river and lake tour on a sightseeing boat and take in the lake views, scenery, history and stunning array of water birds. Around Balranald, Dareton and Wentworth you can get involved in water sports, boating and swimming in the natural waterways. There are also plenty of public swimming pools on offer as well. 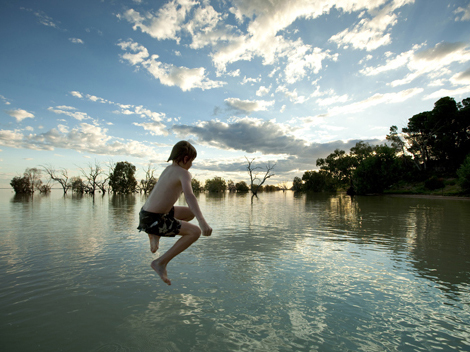 At the Menindee lakes you can go swimming, boating and fishing as well as participate in water sports. Copi Hollow, located on part of lake Wetherell, is owned and operated by the Speed Boat Club and is set up specifically to cater for water sports and family fun on and arount the water. Located only an hour from Broken Hill, it is an excellent venue for a great outing with the family. There is no better way to explore the outback than from the back of a camel. "The camel farm" has been a cornerstone of the Silverton experience for decades. People of all ages come from all over the world to take a trip with one of these gentle "ships of the desert". 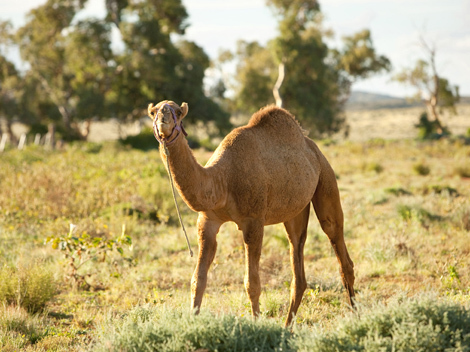 If you're visiting Silverton or Broken Hill, a camel ride is a definite must.